THE HISTORY OF THE COMMUNIST LEAGUE. MARX AS AN ORGANIZER. THE STRUGGLE WITH WEITLING. THE FORMATION OF THE COMMUNIST LEAGUE. THE Communist Manifesto. THE CONTROVERSY WITH PROUDHON. Once there lived Marx and Engels, two German philosophers and politicians, who were forced to abandon their native land. They lived in France and they lived in Belgium. They wrote learned books, which first attracted the attention of the intelligentsia, and then fell into the hands of the workers. One fine morning the workers turned to these two savants who had been sitting in their cloisters remote from the loathsome business of practical activity and, as was proper for guardians of scientific thought, had been proudly awaiting the coming of the workers. And the day arrived; the workers came and invited Marx and Engels to enter their League. But Marx and Engels declared that they would join the League only on condition that the League accept their programme. The workers agreed, they organized the Communist League and forthwith proceeded to authorise Marx and Engels to prepare the Communist Manifesto. The workers who did this had belonged to the League of the Just which was mentioned in connection with the history of the labour movement in France and England. It was l pointed out that this League of the Just had been formed in Paris and that it had suffered serious reverses after the unsuccessful uprising of the Blanquists on May 12, 1839. It was also reported that after the defeat, the members of the League went to London. Among them was Schapper who organised the Workers' Educational Society in February, 1840. U. Steklov, in his book on Marx, gives a similar account of the origin of the Communist League. "While living in Paris, Marx was keeping in personal touch with the leaders of the League of the Just which consisted of German political emigrants and artisans. He did not join this League because its programme was too greatly coloured with an idealistic and conspiratory spirit which could not appeal to Marx. The rank and file of the League, however, gradually came to a position approaching that of Marx and Engels. The latter through personal and written contact, as well as through the press, influenced the political views of the members of the League. On some occasions the two friends transmitted their views to their correspondents through printed circulars. After the breach with the rebel Weitling, after the systematically 'severe criticism of the useless theoreticians,' the soil was fully prepared for Marx and Engels to join the League. At the first congress of the League, which had now assumed the name of the Communist League, Engels and Wilhelm Wolff were present; at the second convention, at the end of November, 1847, Marx, too, was present. The convention, after having heard Marx's address in which he expounded the new socialist philosophy, commissioned him and Engels to prepare the programme of the League. This was how the famous Communist Manifesto came to be written." Steklov has only related what Marx had written, while Mehring has repeated what Engels had told us. And one cannot but believe Engels, for who is more qualified to relate the history of an enterprise than the person who himself took part in it? Still a critical attitude must be preserved even where Engels is concerned, particularly since in his article he described affairs that had occurred forty years before. After such a considerable interval of time it is rather easy to forget things, particularly if one writes under entirely different circumstances and in a wholly different mood. We have at our disposal other facts which do not at all tally with the above account. Marx and Engels were not at all the pure theoreticians that Steklov, for instance, makes them out to be. On the contrary, as soon as Marx had come to the view that any necessary and radical change in the existing social order had to be wholly dependent upon the working class -- the proletariat -- which in the very conditions of its life was finding all the stimuli, all the impulses that were forcing it into opposition to this system -- as soon as Marx was convinced of this, he forthwith went into the midst of the workers; he and Engels tried to penetrate all places, all organisations, where the workers had already been subjected to other influences. Such organisations were already then in existence. In the account of the history of the workers' movement we have reached the early forties. The League of the Just after the debacle of May, 1839, ceased to exist as a central organisation. At any rate, no traces of its existence or its activity as a central organisation are found after 1840. There remained only independent circles organised by ex-members of the League. One of these circles was organised in London. Other members of the League of the Just fled to Switzerland, the most influential among them being Wilhelm Weitling (1809-1864). A tailor by trade, one of the first German revolutionists from among the artisan proletariat, Weitling, like many other German artisans of the time, peregrinated from town to town. In 1835 he found himself in Paris, but it was in 1837 that he settled there for long. In Paris he became a member of the League of the Just and familiarized himself with the teachings of Hugues Lamennais, the protagonist of Christian socialism, of Saint-Simon and Fourier. There he also met Blanqui and his followers. Towards the end of 1838 he wrote, at the request of his comrades, a pamphlet called Mankind As It Is and As It Ought To Be, in which he championed the ideas of communism. In Switzerland Weitling and some friends, after an unsuccessful attempt to propagandise the Swiss, began to organise circles among the German workers and the emigrants. In 1842 he published his chief work, Guarantees of Harmony and Freedom. In this book he developed in greater detail the views he had expressed in 1838. Influenced by Blanqui, Weitling's ideas differed from those of other contemporary utopians, in that he did not believe in a peaceful transition into communism. The new society, a very detailed plan of which was worked out by him, could only be realised through the use of force. The sooner existing society is abolished, the sooner will the people be freed. The best method is to bring the existing social disorder to the last extreme. The worse, the better! The most trustworthy revolutionary element which could be relied upon to wreck present society was, according to Weitling, the lowest grade proletariat, the lumpenproletariat, including even the robbers. It was in Switzerland, too, that Michael Bakunin (1811-1876) met Weitling and absorbed some of his ideas. Owing to the arrest and the judicial prosecution started against Weitling and his followers, Bakunin was compromised and forever became an exile from his own country. After a term in prison, Weitling was extradited to Germany in 1841. Following a period of wandering, he finally landed in London where his arrival was joyously celebrated. A large mass meeting was arranged in his honour. English socialists and Chartists as well as German and French emigrants participated. This was the first great international meeting in London. It suggested to Schapper the idea of organising, in October, 1844, an international society, The Society of Democratic Friends of all Nations. The aim was the rapprochement of the revolutionists of all nationalities, the strengthening of a feeling of brotherhood among peoples, and the conquest of social and political rights At the head of this enterprise were Schapper and his friends. Weitling stayed in London for about a year and a half. In the labour circles, where all kinds of topics dealing with current events were being passionately discussed, Weitling had at first exerted a great influence. But he soon came upon strong opposition. His old comrades, Schapper, Heinrich Bauer and Joseph Moll (1811-1819), had during their much longer stay in London, learned all about the English labour movement and the teachings of Owen. According to Weitling the proletariat was not a separate class with distinct class interests; the proletariat was only a portion of the indigent oppressed section of the population. Among these poor, the Iumpenproletariat was the most revolutionary element. He was still trumpeting his idea that robbers and bandits were the most reliable elements in the war against the existing order. He did not attach much weight to propaganda. He visualised the future in the form of a communist society directed by a small group of wise men. To attract the masses, he deemed it indispensable to resort to the aid of religion. He made Christ the forerunner of communism, picturing communism as Christianity minus its later accretions. To better understand the friction that subsequently developed between him and Marx and Engels, it is well to remember that Weitling was a very able worker, self-taught and gifted with a literary talent, but handicapped by all the limitations of those who are self-educated. The tendency of an autodidact is to try to get out of his own head something extra-new, to invent some intricate device. He is often doomed to find himself in a foolish predicament, as after a great expenditure of labour he discovers a long-discovered America. An autodidact may be in search of a perpetuum mobile; he may invent a funnel of wisdom whereby one might become a savant before one counts two. Weitling belonged to this class of autodidacts. He wanted to contrive a system of teaching that would enable man to master all sciences in a very short time. He wanted to devise a universal language. It is characteristic that another worker-autodidact, Pierre Proudhon (1809-1865), also laboured over a solution of this problem. As to Weitling, it was at times difficult to determine what he preferred, what was dearer to him -- communism, or a universal language. A veritable prophet, he brooked no criticism. He nursed a particular distrust for people learned in books who used to regard his hobby with scepticism. "What particularly offended my pride was the fellow's utter lack of respect while he conversed with me. He did not remove his cap and, while I was standing before him, he remained sitting with his right knee raised to his very chin, with the aid of his right hand, and steadily rubbing with his left hand the raised leg, just above the ankle. At first, I thought this disrespectful attitude to be the result of a habit he had acquired while working at the tailoring trade, but I was soon convinced of my error. When I asked him why he was continually rubbing his leg in this manner, Weitling responded in a nonchalant manner, as if it were the most ordinary occurrence, that in the various German prisons in which he had been confined, he had been kept in chains; and as the iron ring which held his knee was frequently too small, he had developed a chronic irritation of the skin which was the cause for the perpetual scratching of his leg. I confess, I recoiled when the tailor Weitling told me of these chains." (Yet the poet had suggested the contradictory nature of the feelings which animate the human breast): "I, who had once in Munster kissed with burning lips the relics of the tailor John of Leyden -- the chains he had worn, the tongs with which he was tormented, and which have been preserved at the Munster City Hall, I, who had made an exalted cult of the dead tailor, now felt an insurmountable aversion for this living tailor, Wilhelm Weitling, though both were apostles and martyrs in the same cause." "Where can the bourgeoisie, its philosophers and literati included, boast of work dealing with the political emancipation, comparable with Weitling's Guarantees of Harmony and Freedom? If one compares the dry and timid mediocrity of German political literature with this fiery and brilliant debut of the German workers, if one compares these halting but gigantic first steps of the proletariat with the mincing gait of the full-grown German bourgeoisie, one cannot help predicting that the proletarian Cinderella will develop into a prodigy of strength." It was quite natural that Marx and Engels should seek to make the acquaintance of Weitling. We know that the two friends during their short sojourn in London in 1845, became acquainted with the English Chartists and with the German emigrants. Though Weitling was still in London at that time, we are not certain that Marx and Engels met him. They entered into close relations in 1846, when Weitling came to Brussels where Marx, too, had settled in 1845 after he had been driven out of France. By that time Marx was completely engrossed in organisational work. Brussels was very convenient for this purpose, for it was a transit station between France and Germany. German workers and German intellectuals wending their way to Paris invariably stopped for a few days in Brussels. It was from Brussels that forbidden literature was smuggled into, and disseminated all over, Germany. Among the workers who had temporarily settled in Brussels there were few very able men. Marx soon advanced the idea of convoking a congress of all the communists for the purpose of creating the first all-communist organisation. The Belgian city Verviers near the German border, and therefore convenient for the German communists, was chosen as the place of the meeting. We are not certain whether this convention ever took place, but according to Engels, all the preparations for it had been thought out by Marx long before the delegates from the League of the Just arrived from London with an invitation for the two friends to join the League. It is obvious why Marx and Engels should have considered the circles which were under the sway of Weitling as being of supreme importance. They had wasted a good deal of effort to meet him on a common platform, but the whole affair culminated in a break. The history of this break was recorded by the Russian critic, Annenkov, who happened to be in Brussels during the Spring of 1846. He left us a very curious description containing an abundance of misrepresentation including, however, a bit of truth. He gives us a report of one meeting at which a furious quarrel occurred between Marx and Weitling. We learn that Marx, pounding his fist on the table, shouted at Weitling, "Ignorance never helped nor did anybody any good." This is quite conceivable, particularly since Weitling, like Bakunin, was opposed to propagandistic and preparatory work. They maintained that paupers were always ready to revolt, that a revolution, therefore, could be engineered at any moment provided there be resolute leaders on hand. 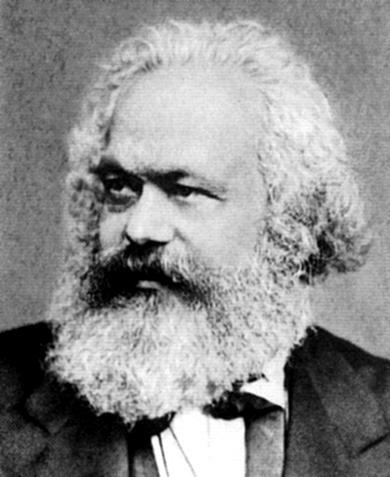 From a letter written by Weitling concerning this meeting, we learn that Marx pressed the following points: a thorough cleansing in the ranks of the communists; a criticism of the useless theoreticians; a renunciation of any socialism that was based on mere good-will; the realisation that communism will be preceded by an epoch during which the bourgeoisie will be at the helm. In May, 1846, the final rupture came. Weitling soon left for America where he remained until the Revolution of 1848. Marx and Engels, aided by some friends, continued the task of organisation. In Brussels they built up the Workers' Educational Society where Marx lectured to the members on Political Economy. Besides the intellectuals such as Wilhelm Wolff (1809-1864) to whom Marx later dedicated the first volume of Capital, they had as their associates a number of workers like Stefan Born (1824-1899) and others. With this organisation as a basis, and using their comrades who were travelling between Brussels and other points, Marx and Engels strove to form and to consolidate connections with circles that existed in Germany, London, Paris and Switzerland. Engels himself fulfilled this task in Paris. Gradually the number of those who inclined to the new views of Marx and Engels increased Then, in order to unite all the communist elements, Marx decided upon the following plan: Instead of a national, purely German organisation, Marx now dreamed of an international one. To begin with, it was imperative to create groups, nuclei of the more mature communists in Brussels, Paris and London. These groups were to choose committees for the purpose of maintaining communication with other communist organisations. Thus was laid the foundation of the future international association. At the suggestion of Marx these committees were styled the Communist Committees for Interrelation (Correspondence Committees). "Not having had their own organ, Marx and his friends strove to fill the gap as much as was possible by resorting to printed or multigraphed circular letters. At the same time they endeavoured to secure themselves with permanent correspondents from those large centres where communists lived. Such correspondence bureaus existed in Brussels and London. A similar bureau was to be established in Paris. Marx wrote to Proudhon asking for his co-operation." Yet it is sufficient to read Proudhon's reply a bit more attentively to see that he talks of something wholly different from the usual correspondence bureau. And if we recall that this letter to Marx belongs to the summer of 1846, then we must conclude that long before Marx received the invitation from the London delegation to enter the already defunct League of the Just, there existed in London, in Brussels and in Paris, organisations the initiative for which emanated no doubt from Marx. Thus toward the second half of 1846 there was a well-organised central correspondence committee in Brussels where all the reports were sent. It was made up of a considerable number of members, some of whom were workers. There was also the Paris committee, organised by Engels and carrying on very active work among the German artisans. Then there was the London committee headed by Schapper, Bauer, and that same Moll who half a year later came to Brussels presumably to urge Marx to become a member of the League of the Just. But as is shown in a letter dated January 20, 1847, this Moll came representing not the League of the Just, but the Communist Correspondence Committee, and he came personally to report on the state of affairs in the London society. We must conclude then that the story, about the forming of the Communist League, which was started by Engels and which still travels from book to book, is nothing but a legend. Marx's organisation work has been almost completely overlooked by the investigators; he has been transformed into a cloistered thinker. One of the most interesting sides of his personality has been neglected. Were we to fail to realise the important role which Marx -- and not Engels -- played during the second half of the forties as the director and inspirer of all the preparatory work, we would not understand the tremendous part he subsequently performed as organiser in 1848-49 and during the period of the First International. After Moll's visit to Brussels, probably, when Marx became convinced that most of the Londoners had freed themselves from Weitling's influence, the convocation of a congress at London was decided upon on the initiative of the Brussels committee. Pre-convention discussions and conflicts between various tendencies began. It was worst of all in Paris, where Engels worked. When one reads his letters, one is convinced that Engels was a capable politician. It appeared, for instance, to Engels that he won a victory, of which he solemnly informs the Brussels committee, not only because he succeeded in persuading the vacillating ones but also because he "put it over" on some, and "bamboozled" others. In the summer of 1847 the congress convened in London. Marx was not present. Wilhelm Wolff represented Brussels and Engels the Parisian communists. There were only a few delegates, but this perturbed no one. They decided to unite in the Communist League. This was not a reorganisation of the old League of the Just as Engels, who apparently forgot that he represented the Paris communist committee which he had himself founded, assures us. A constitution was adopted, the first paragraph of which clearly and definitely formulated the basic idea of revolutionary communism. "The aim of the League is the overthrow of the bourgeoisie, the rule of the proletariat, the abolition of the old bourgeois society based on class antagonisms, and the establishment of a new society without either classes or private property." The constitution was adopted provisionally. It had to be submitted to the separate committees for discussion and finally adopted at the next convention. The principle of "democratic centralism" was made the basis of the organisation. It was incumbent upon the members to avow the communist creed, to live in accordance with the aims of the League. A definite group of members formed the basic unit of organisation -- the nucleus. This was called a commune. These were combined into districts with their district committees. The various districts were united under the control of a special leading district. The leading districts were responsible to the central committee. This organisation subsequently became the pattern for all communist working-class parties in their first stages of development. It, however, had one peculiarity which vanished later, but which was still to be met with in Germany up to the beginning of the seventies. The central committee of the Communist League was not elected by the convention. Its powers, as the chief leading centre, were delegated to the district committee of any city designated by the convention as the seat of the central committee. If London was designated, then the organisation of the London district elected a central committee of at least five members. This secured for it close contact with a vast national organisation. It was also decided by the convention to work out a project for a communist "catechism of faith" which should become the programme of the League. Each district was to offer its own project at the next convention. It was further resolved that a popular journal was to be published. It was the first working-class organ that frankly called itself "communist." It was published half a year before the Communist Manifesto, but it already had as its slogan "Workers of all countries, unite!" The publication of this journal never went beyond the trial number. The articles were written and printed mainly by members of the Communist League who lived in London. The leading article was in a very popular style. In simple language it pointed out the peculiarities of the new communist organisation and wherein it differed from Weitling's and from the French organisations. There was no mention of the League of the Just. A special article was devoted to the French communist, Etienne Cabet (1788-1856), the author of the famous utopia, Icaria. In 1847 Cabet started a lively agitation with the purpose of gathering people who would be willing to migrate to America and to build on its virgin soil, a communist colony along the lines described by him in his Icaria. He even made a special trip to London in the hope of attracting the communists there to his side. The article subjected this plan to a very thorough criticism; it urged the workers not to abandon Europe, for it was there that communism would first be established. There was another long article which had apparently been written by Engels. In conclusion there was a general social and political survey written undoubtedly by the delegate from Brussels, Wilhelm Wolff. "The basic ideas of the Manifesto: that in every historical epoch, the prevailing mode of production and the social organisation necessarily following from it, form the basis upon which is built the political and intellectual history of that epoch; that consequently at the different stages of social development (since the dissolution of the primitive community of property in the soil) the history of mankind has been a history of class struggles, struggle between exploited and exploiters, oppressed and ruling classes; that this struggle has however now reached a stage where the exploited and oppressed class -- the proletariat -- cannot attain its emancipation from the exploiting and oppressing class -- the bourgeoisie -- without, at the same time, and for all time, emancipating society as a whole from all exploitation, oppression, and class struggles -- these fundamental ideas belong entirely and solely to Marx." We should note this circumstance. The Communist League, as well as Engels, knew that the main burden of evolving the new programme fell upon Marx, that it was he who was charged with the writing of the Manifesto. We have an interesting letter -- interesting in other respects too -- substantiating our contention. It casts a curious light on the relations between Marx and the organisation which was proletarian in its spirit and its tendency to regard the "intellectual" as merely an expert at formulating. The better to understand this letter, we must know that London was designated as the seat of the central committee, which was, in accordance with the constitution, selected by the London organisation. "The Central Committee hereby directs the District Committee of Brussels to notify Citizen Marx that if the Manifesto of the Communist Party, which he consented, at the last Congress, to draw up, does not reach London before Tuesday, February 1, further measures will be taken against him. In case Citizen Marx does not write the Manifesto, the Central Committee requests the immediate return of the documents which were turned over to him by the congress. "In the name and at the instruction of the Central Committee, (Signed) Schapper, Bauer, Moll"
We see from this angry missive that even toward the end of January, Marx was not through with the work handed over to him in December. This, too, is very typical of Marx. With all his literary ability he was a bit slow of movement. He generally laboured long over his works, particularly if it was an important document. He wanted this document to be invested with the most nearly perfect form, that it might withstand the ravages of time. We have one page from Marx's first draft, it shows how painstakingly Marx laboured over each phrase. The central committee did not have to resort to any further measures. Marx evidently succeeded in completing his task toward the beginning of February. This is worth noting. The Manifesto was issued a few days before the February Revolution. From this we may deduce, of course, that the Manifesto could hardly have played any part in the matter of preparing for the February Revolution. And after we discover that the first copies of the Manifesto did not make their way into Germany before May or June of 1848, we can make the further deduction that the German Revolution, too, was not much affected by this document. Its contents were known only to a small group of Brussels and London communists. The Manifesto was the programme of the international Communist League. This League was composed of a few Belgians, some communist-minded English Chartists, and most of all, of Germans. The Manifesto had to take into consideration not any one particular country, but the whole bourgeois world before which the communists for the first time openly expounded their aims. The first chapter presents a striking and clear picture of bourgeois, capitalist society, of the class struggle which had created it and which continued to develop within this society. We see the inevitable inception of the bourgeoisie in the womb of the old medieval feudal system. We watch the changing conditions in the existence of the bourgeoisie in response to the changes in economic relations. We observe the revolutionary role it played in its combat with feudalism and to what extraordinary degree it fostered the development of the productive forces of human society, having thus for the first time in history created the possibility of the material liberation of all mankind. Then follows an historical sketch of the evolution of the proletariat. We see how the proletariat developed as inevitably as the bourgeoisie, and concomitantly with it. We see how it gradually integrated into a separate class. Before us pass the various forms which the conflict between the proletariat and the bourgeoisie assumed before the proletariat became a class for itself, and before it created its own class organisation. The Manifesto further presents and subjects to an annihilating criticism all the objections to communism advanced by the ideologists of the bourgeoisie. Marx -- and here he relied on Engels, though not to the extent that we imagined -- further explains the tactics of the communists with respect to other workingmen's parties. Here we encounter an interesting detail. The Manifesto declares that the communists do not constitute a separate party in contradistinction to other workingmen's parties They are merely the vanguard of the workers, and their advantage over the remaining mass of the proletariat is in their understanding of the conditions, direction, and general results of the labour movement. Now that we know the actual history of the Communist League, it is easier to explain such a statement of the problems of the communists. It was dictated by the state of the labour movement at that time, particularly that of the English movement. Those Chartists who agreed to enter the League did it on condition that they be allowed to maintain their connections with their old party. They only took upon themselves the obligation of organising within Chartism something in the nature of a communist nucleus for the purpose of disseminating there the programme and the ideas of communism. The Manifesto analyses minutely the numerous tendencies that were striving for ascendancy among the socialists and the communists; It subjects them to a most incisive criticism and definitely rejects them, all except the great utopians -- Saint Simon, Fourier, and Owen -- whose teachings Marx and Engels had to a certain degree adopted and remodelled. Accepting their criticism of the bourgeois order, the Manifesto pits against the pacific, utopian, nonpolitical socialism, the revolutionary programme of the new proletarian -- critical communism. In conclusion the Manifesto examines the communist tactics at the lime of a revolution, particularly with respect to the bourgeois parties. The procedure varies with each country, depending on its specific historical conditions. Where the bourgeoisie is already dominant, the proletariat wages war exclusively against it. In those countries where the bourgeoisie is still string for political power, as for instance in Germany, the communist party works hand in hand with the bourgeoisie, as long as the latter fights against the monarchy and the nobility. Yet the communists never cease instilling into the minds of the workers an ever-keener consciousness of the truth that the interests of the bourgeoisie are diametrically opposed to those of the proletariat. The crucial question always remains that of private property. These were the tactical rules worked out by Marx and Engels on the eve of the February and the March Revolutions of 1848. We shall subsequently see how these rules were applied in practice, and how they were changed as a result of revolutionary experience. We now have a general idea of the contents of the Manifesto. We must bear in mind that it incorporated the results of all the scientific work which Engels and particularly Marx had performed from 1845 to the end of 1847. During this period Engels succeeded in getting into shape the material he had collected for his Condition of the Working Class in England, and Marx laboured over the history of political and economic thought. During these two years, in the struggle against all kinds of idealist teachings, they pretty adequately developed the materialistic conception of history which enabled them to orient themselves so well in their study of the material relations, the conditions of production and distribution which always determine social relations. The new teaching had been most completely and clearly expounded by Marx even before the Manifesto, in his polemic against Proudhon. In the Holy Family, Marx spoke very highly of Proudhon. What was it then that provoked the break between the two old allies ? Proudhon, like Weitling, was a worker and an autodidact. He subsequently became one of the outstanding French publicists. He set out upon his literary career in a very revolutionary spirit. In his book, What Is Property, which was published in 1841, he criticised most acutely the institution of private property, and he came to the daring conclusion that in its essence private property is robbery. In reality, however, Proudhon condemned only one form of property, the capitalistic, which was based upon the exploitation of the small producer by the big capitalist. Having nothing against the abolition of capitalistic private property, Proudhon was at the same time opposed to communism. The only security for the welfare of the peasant and the artisan was according to him the preservation and the enhancement of their private property. The condition of the worker could he improved, in his opinion, not by means of strikes and economic warfare, but by converting the worker into a property-owner. He finally arrived at these views in 1845 and 1846 when he first formulated a plan whereby he thought it possible to insure the artisan against ruin, and to transform the proletarian into an independent producer. We have already mentioned the role that Engels at that time played in Paris. His chief opponent in the discussion of programmes was Karl Grun (1813-1884) who represented "real socialism." Grun was very intimately allied with Proudhon, whose views he expounded before the German workers living in Paris. Even before Proudhon published his new hook in which he wanted to expose all the "economic contradictions/index.htm" in existing society, and to explain the origin of poverty, the "philosophy of poverty," he communicated his new plan to Grun. The latter hastened to use it in his polemics against the communists. Engels hurried to communicate this plan to the Brussels committee. "But what was this plan which was to save the world? Nothing more or less than the well-known and bankrupt English Labour Exchanges run by associations of various craftsmen. All that is required is a large depot; all the products delivered by the members of the association are to be evaluated according to the prices of the raw materials plus the labour, and paid for in other products evaluated in precisely the same way. The products in excess of the needs of the association are to be sold in the world market, and the receipts are to be turned over to the producers. Thus, thinks the cunning Proudhon, the profits of the commercial middleman might be eliminated to the advantage of himself and his confederates." In his letter Engels communicated new details of Proudhon's plan and was indignant that such fantasies as the transformation of workers into property-owners by the purchase of workshops on their savings still attracted the German workers. Immediately upon the appearance of Proudhon's Philosophy of Poverty, Marx sat down to work and wrote in 1847 his little book, Poverty of Philosophy, in which, step by step, he overthrew the ideas of Proudhon. But he did not confine himself merely to destructive criticism; he expounded his own fully developed ideas of communism. By its brilliance and keenness of thought and by its correctness of statement this book was a worthy introduction to the Communist Manifesto, and was not inferior to the last comments Marx wrote on Proudhon in 1874 in an article on "Political Indifference." This proves that Marx had developed his fundamental points of view by 1847. Marx vaguely formulated his ideas for the first time in 1845. Two more years of assiduous work were required for Marx to be able to write his Poverty of Philosophy. While studying the circumstances under which the proletariat was formed and had developed in bourgeois society, he delved deeper and deeper into the laws of production and distribution under the capitalist system. He re-examined the teachings of bourgeois economists in the light of the dialectic method and he showed that the fundamental categories, the phenomena of bourgeois society -- commodity, value, money, capital -- represent something transitory. In his Poverty of Philosophy, he made the first attempt to indicate the important phases in the development of the process of capitalist production. This was only the first draft, but from this it was already obvious that Marx was on the right track, that he had a true method, a splendid compass, by the aid of which he confidently made his way through the thickets of bourgeois economy. But this book also proved that it was not sufficient to be in possession of a correct method, that one could not limit himself to general conclusions, that it was necessary to make a careful study of capitalist reality, in order that one might penetrate into all the subtleties of this intricate mechanism. Marx had a colossal task before him; this first draft, though the work of a genius, still had to be converted into a stately edifice. But before Marx had a chance to build this edifice, he and Engels had to go through the Revolution of 1848, which they had been impatiently awaiting, which they had foretold, for which they had been preparing, and in anticipation of which they had worked out the basic propositions of the Communist Manifesto.